This model was built exclusively for and imported by Mahogony Models you will find it no where else. 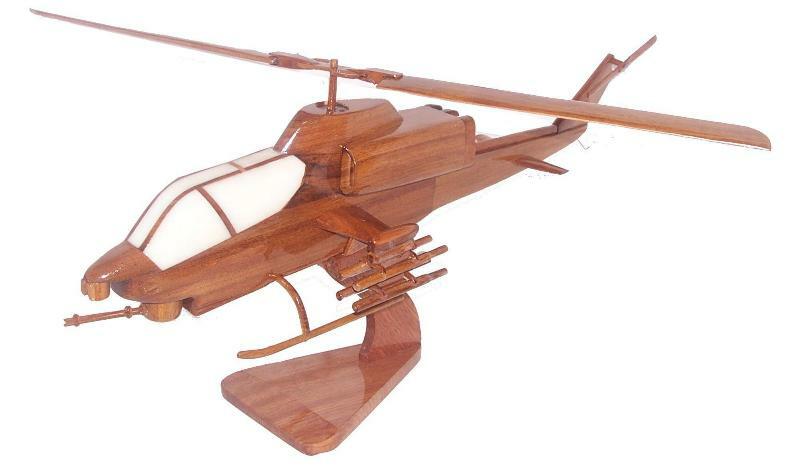 Here you will find the highest quality AH-1W Cobra Natural wood helicopter models available on the market today. All of our AH-1W Cobra helicopter desktop models are hand carved out of mahogany by master craftsmen. Unlike other companies we work directly with the carvers to insure that the every detail of the models is as accurate as it can be in a natural wood model. The models are updated as skill and innovations in craftsman ship are achieved. Each woodenAH-1W Cobramodel is coated with 3-10 coats of lauor giving each wooden mahogany Helicopter model a high gloss finish. 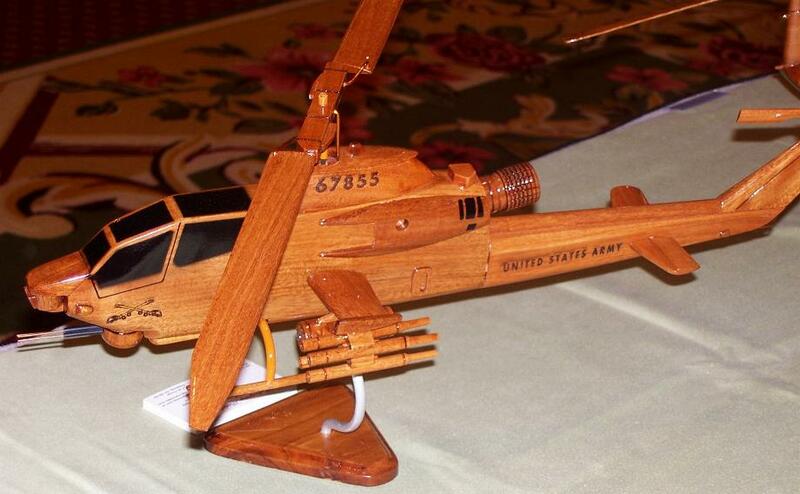 Weather you are looking for a wooden attack helicopter model or wood civilian helicopter model. We guarantee that we have he highest quality wooden helicopters on the market. You will find a awesome natural wood helicopter replica to fit into your aircraft collection. Our natural wooden models are truly a work of art. Beautiful Natural Wood Helicopter models hand carved out of Mahogany.